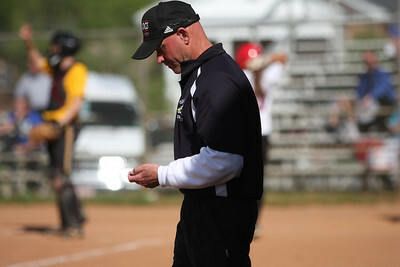 Coach Cole adjusts his pitch counter. 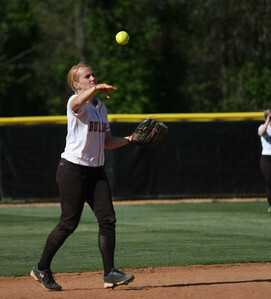 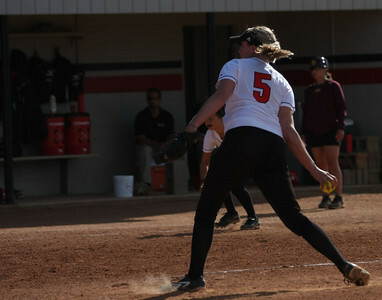 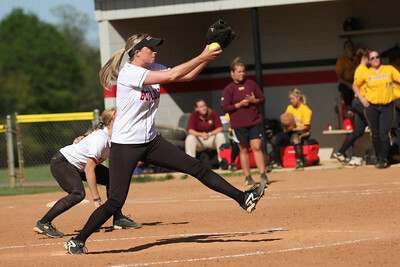 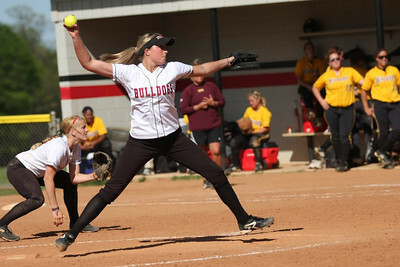 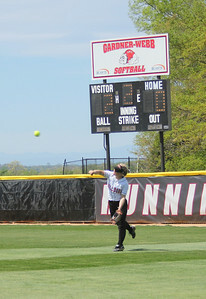 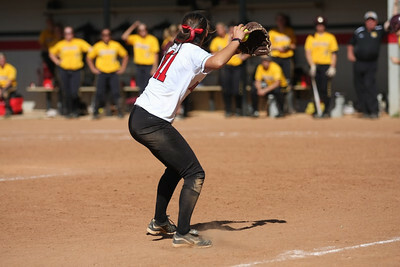 Number 11, Rachel Jablonski, fields the ball. 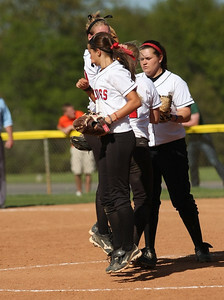 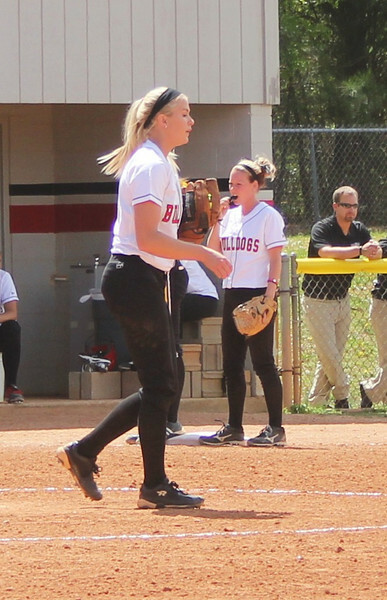 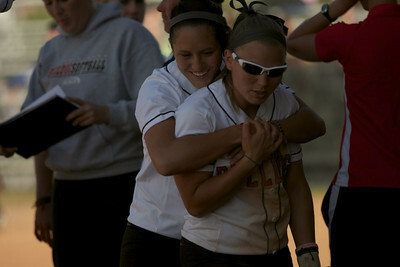 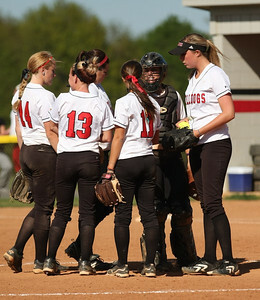 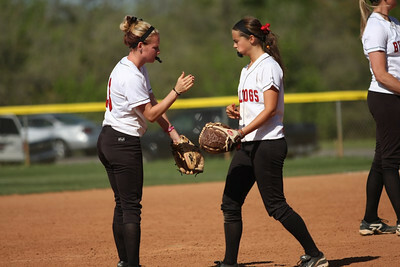 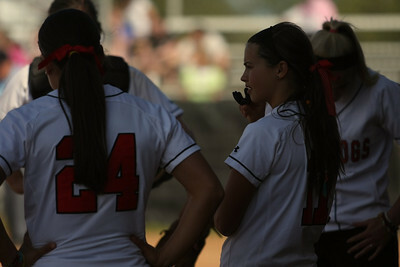 Jordyn Arrowood (left) and Rachel Jablonski (right) encourage each other. 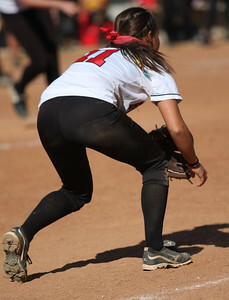 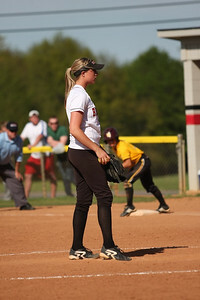 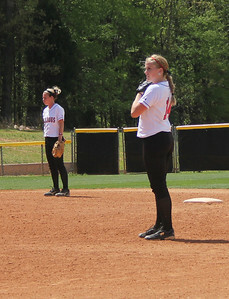 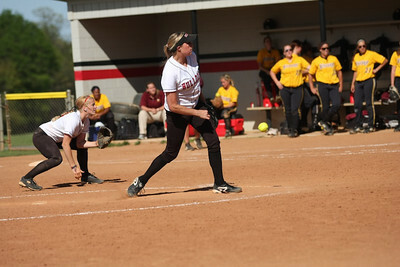 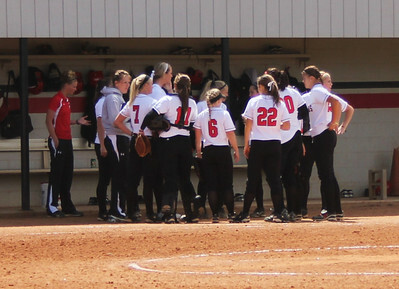 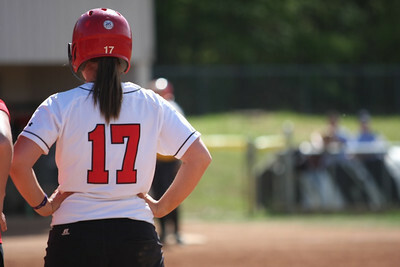 Number 17, McKenzie Morenus, on first base. 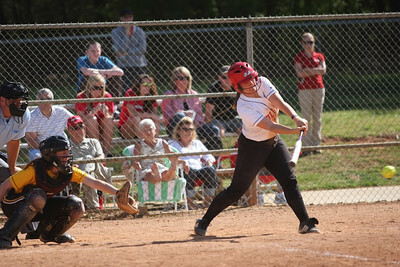 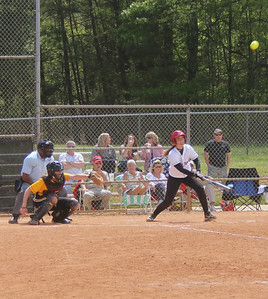 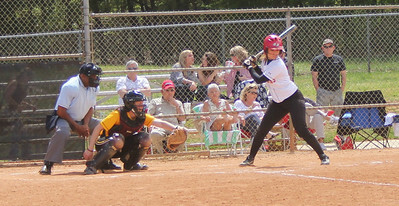 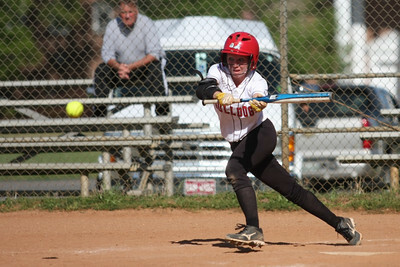 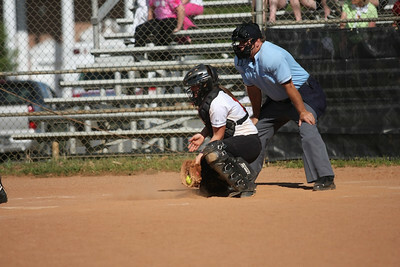 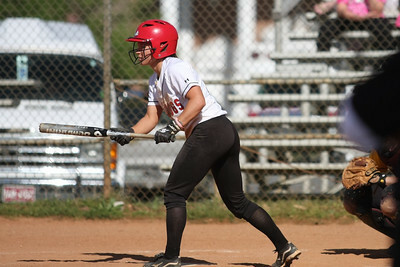 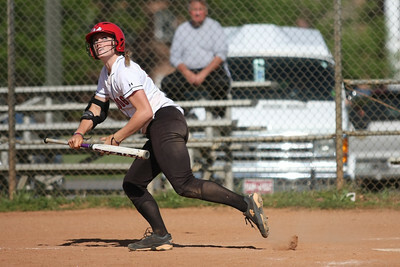 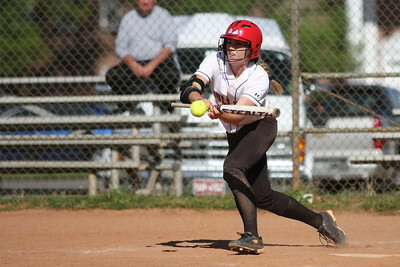 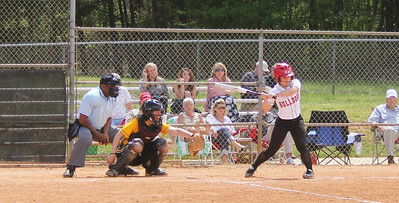 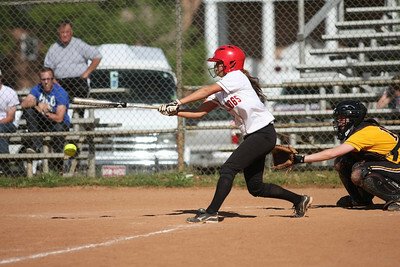 Number 17, McKenzie Morenus, hitting.